The digital transforms are intensive in multiplication and accumulation operations which have a high computational cost. Advances in computer arithmetic and digital technologies allow simplifying the processing of complex algorithms when they are implemented in modern circuits. 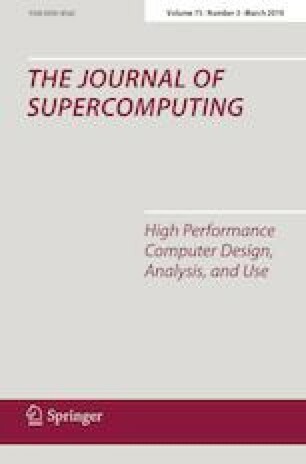 New computation techniques can be explored to provide efficient operational methods for implementing algorithms that avoid much of the complex and costly mathematical operations. This work aims to design a high-performance architecture for computing some common digital transforms. The proposed architecture has been compared to other methods. The transform used as example in this work is the discrete cosine transform. The results show that the proposal offers high-performance results comparable or better than best-known methods. This work was supported by the Spanish Research Agency (AEI) and the European Regional Development Fund (FEDER) under project “CloudDriver4Industry” TIN2017-89266-R.